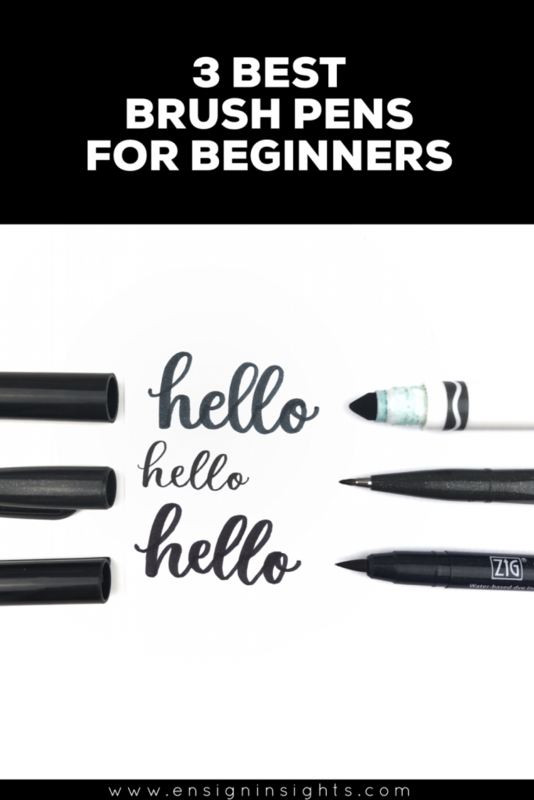 Are you a hand lettering beginner wondering what the best brush pens for beginners are? 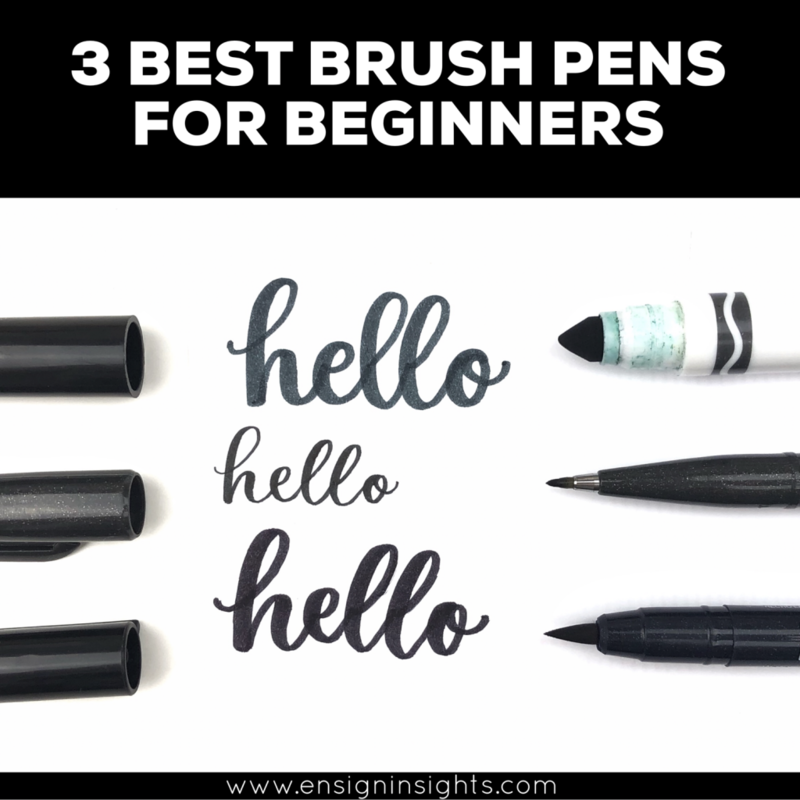 By far the question I get asked the most is “what are the best brush pens for beginners?” In this post I’m going to show you that brush lettering is simple with my 3 favorite brush pens for brush lettering beginners. When I started hand lettering I didn’t spend money on brush pens because I didn’t know if this was going to be a hobby or something more. I used my Pilot G2 pen and used fauxligraphy. You can learn the secret to fake calligraphy in another blog post. When I wanted to do more with my hand lettering, I realized that I needed to get some real brush pens. Want to watch my YouTube video with a demo of each brush pen? I teach hand lettering for beginners workshops locally so I’ve seen the pens that lettering students love the most and other brush pens that are hard for beginners. I wrote a blog post about the best brush pens to learn hand lettering where I shared several of my favorite brush pens. Here I am going to keep it really simple and give you just 3. Before I start, I also want to mention the importance of paper for brush lettering. Brush pens will fray if you use regular copy paper. I use HP Premium 32 paper (affiliate link) but you can also check out the best paper for brush lettering. 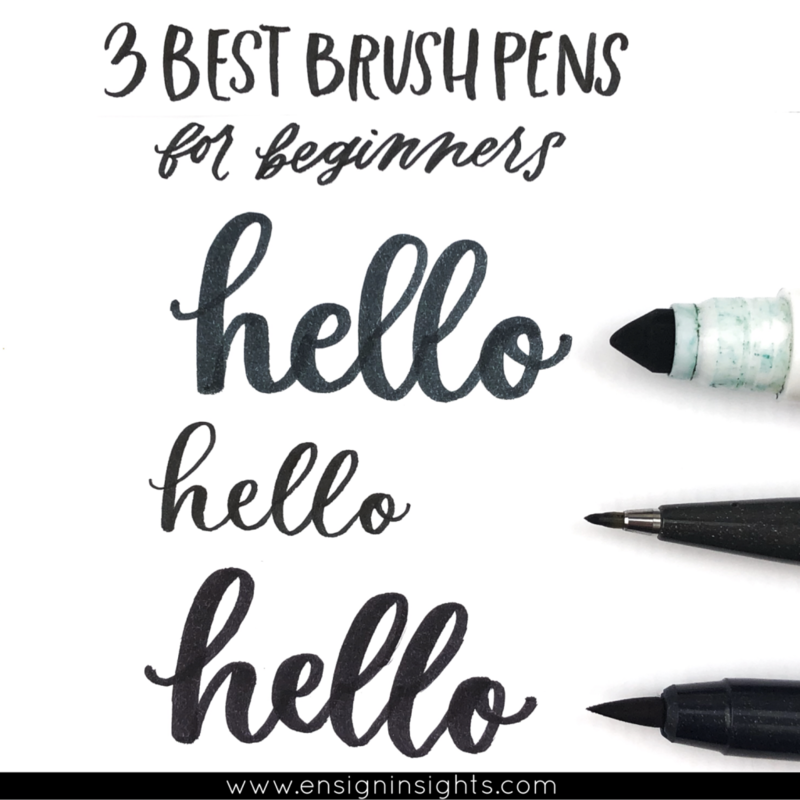 With that, let’s get into the 3 best brush pens for beginners! That’s right, a simple marker you used in kindergarten that you probably have at home. You may be thinking Crayola Broadline isn’t a brush pen! Yes, it’s not an official brush pen. But it’s amazing as a brush pen! It’s definitely my favorite brush pen for lettering! You can grab some Crayola markers here (amazon affiliate link). The other great thing about Crayola markers is that they are affordable and they won’t fray no matter what paper you use! These are small brush pens meaning they have a smaller nib and are great for small lettering. 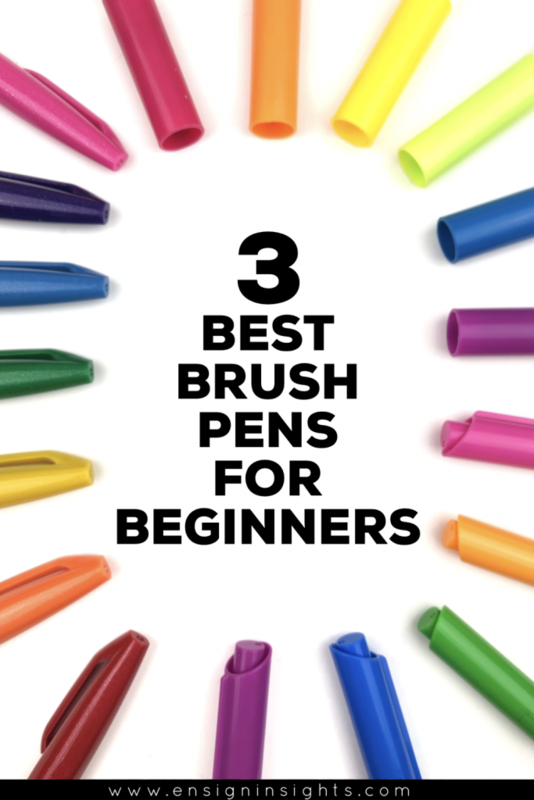 A lot of lettering beginners find Pentel Touch brush pens to be the easiest to start with. I love that they come in 12 colors. You can find Pentel Touch brush pens here (amazon affiliate link). Kuretake Fudebiyori brush pens are a larger brush pen than the Pentel Touch, but they are more of a medium sized nib. This is a little easier than a lot of brush pens out there. They have a great flexibility and bounce which makes them eaiser to learn lettering with than something like longer Tombow Dual Brush pens. You can find Kuretake Fudebiyori brush pens here (affiliate link). Do you agree with my list? 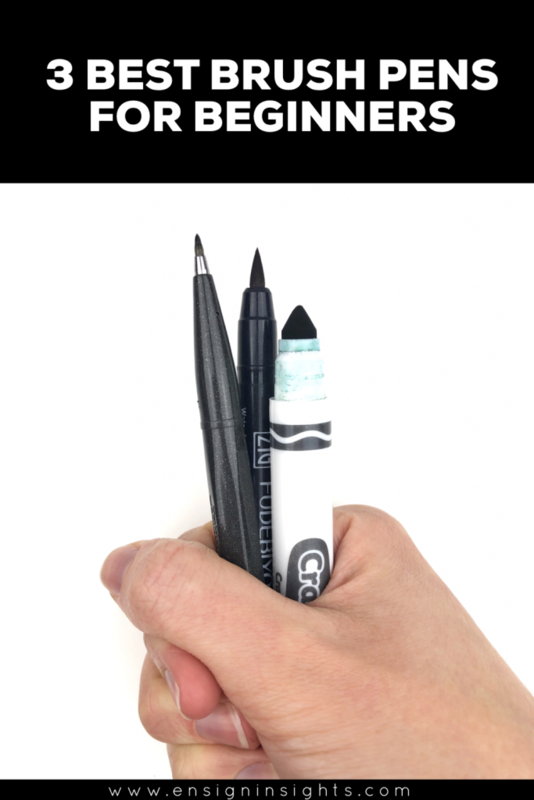 Have you tried each of these 3 best brush pens for beginners? If you want to learn brush lettering, check out my Hand Lettering for Beginners Workshop. I give you a basic calligraphy alphabet and hand lettering worksheets with lettering video lessons. It’s everything I wish I knew when I started lettering. Happy Lettering!